The England National team has continued to enjoy a successful 12 months of football as coach Gareth Southgate has overseen an exciting youthful side. There have been several young players that have been introduced to the first team in the past few months. Several members of the victorious under 17 squads in 2017 have made their debutsfor the national team with the likes Callum Hudson-Odoi and Jordan Sancho making their debuts in recent months. One player that is yet to make his debut despite starring in the tournament is Phil Phoden. The Manchester City prodigy is highly rated in England and has been nicknamed the Stockport Iniesta due to similarities in style with the Spanish Legend. 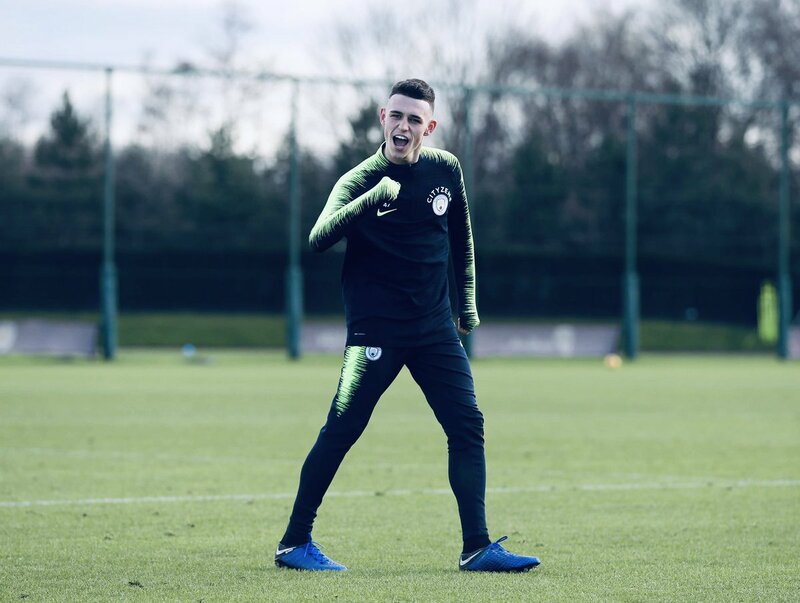 Although not a regular starter for Manchester City Foden has been a member of the first team for the past two seasons. Manchester United Legend Rio Ferdinand believes that the 18-year-old deserves to make the England squad and has called on Southgate to call the player alongside Arsenal youngster Reis Nelson for the next round of fixtures. Ferdinand revealed to the Sun that both players have been spoken highly about and deserve a place in the team. Hudson Odoi was impressive in his first start away to Montenegro and helped the team to a comfortable 5-1 victory. He was impressive on the left side of the attack and tormented the opposition defence alongside Manchester City ace Raheem Sterling. Phil Phoden took part in the England u21 1-1 draw with Poland and was impressive in the game. The 18-year-old has been impressive when called upon by Pep Guardiola in the cup competitions this season. Foden has scored six goals this season despite starting only seven of the 22 games in all competitions.